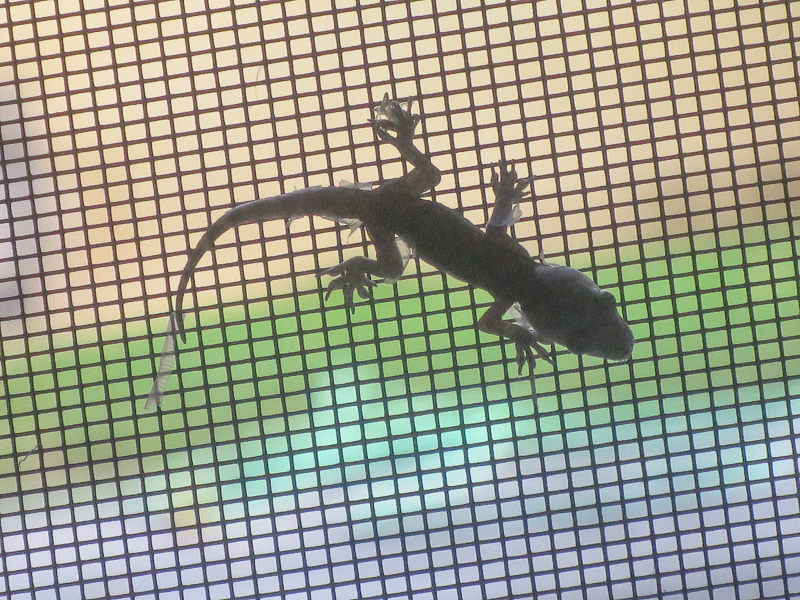 My daughter Julianna found this Gecko on the mosquito netting on the house sliding door and took the following photos of it as well. I sent the photos to Mansur Al Fahad who is excellent at identification of most living things for identification and he kindly replied with the following. “The fingers show a Hemidactylus species, we have two on the eastern cost of our country all found in houses and buildings, H flaviviridis and H persicus, the first one its more widespread and bigger than another. Your photos show some marks on the back which H flaviviridis has”. As a result this Gecko is a Yellow Bellied House Gecko a species I have seen before in the property. 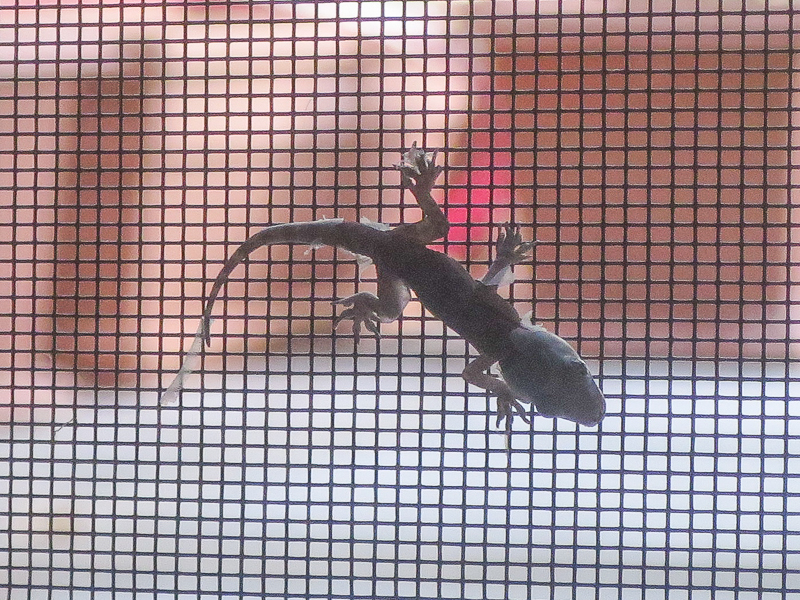 An interesting thing about this Gecko is that it appears to be shedding its skin something young Geckos do. The small size of this individual supports the identification as a juvenile of the species.